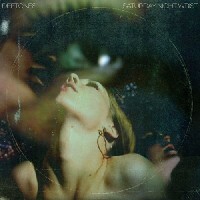 The Deftones fifth album, Saturday Night Wrist, released Halloween 2006, is loaded with 12 tracks of aggressive music, adding a new twist to their sound. Lyrically, this is a darker Deftones CD compared to past releases. This Sacramento-based quintet attempts to change up their style and they succeeded. The CD embodies a dynamic play list with tantalizing vocals and mid-tempo beats with Tool-influenced drum solos. They have definitely kept their â€œDeftonianâ€? sound fans know so well. Chingo Morenoâ€™s hushed vocals layered atop a massive guitar wall take their musical experimentation to a newer, harder place while not forsaking their trademark sound. The bulk of the album highlights Morenoâ€™s vocal range, crying over heavy guitar licks and wildly paced drum variations. Their single, "Hole in the Earth," leads off the CD with an explosive blending of both bass and electric guitars with hard hitting drums working in unison to bring you the Deftonesâ€™ latest of works. Morenoâ€™s voice eases its way in after about thirty seconds of instrumentals, producing a song that goes beyond the vocal realm of what listeners would expect. "Beware the Water" is a great example of the darker lyrical pieces on the CD. Chingo Moreno comments on this song in a Rolling Stone interview stating, â€œThe lyrics are a warning against the temptation of women, drugs, alcohol or any other vice. It's quite dark." "Cherry Waves" is a meditation on trust and its inherent limitations. It has a catchy chorus with dreamy guitar strums. There are two â€œscream-oâ€? songs, "Rapture" and "RATS!RATS!RATS!". "Rapture" defines the Deftonesâ€™ heavy metal experimentation, but listeners beware: a lyric sheet is required, â€œthankfully enclosed.â€? "RATS!RATS!RATS! ", a song about an old actress gone crazy named Frances Farmer, is another Moreno screamer, incorporating peculiar â€œnon-royalty-receivingâ€? cricket sounds towards the song's closure. "Mein" features System of a Downâ€™s lead vocalist Serj Tankian, who pops in for a duet with Moreno. This is one of the better songs on the album. The spaced out guitar riffs mix perfectly with the two vocal harmonies, showing off that new twist to their style. Then comes mid-album, which presents a calm instrumental interlude entitled â€œU,U,D,D,L,E,L,E,A,B,SELECT,START,â€? named after the Konami Code (Nintendo cheat code). Itâ€™s very soothing to the mind, body and ears. Track nine, "Pink Cellphone," features a second guest vocalist named Annie Hardy from the band Giant Drag. She teams up with the Deftones, creating an unnecessary distraction to the album, potentially ruining the song for some. The slow steady electronic drumbeats resemble that of a hip-hop track, later shifting to a disturbingly vulgar monologue. It could possibly be one of the worst songs the Deftones have made to date. The last three tracks of the CD: "Combat," "Kimdracula," and "Riviere," save the album from becoming a potential disaster after "Pink Cellphone." These songs are reminiscent of the old Deftones' style containing a multitude of guitar riffs that are definitely worth nodding your head to. After three years of anticipation, the Deftones have returned to bring us an array of musical elements. SNW is an album you can hear over and over again and never get sick of, and those are hard to find! By mixing multiple genres like alternative, rap-rock, and experimental nu-metal, they have created a dynamic masterpiece known as Saturday Night Wrist.